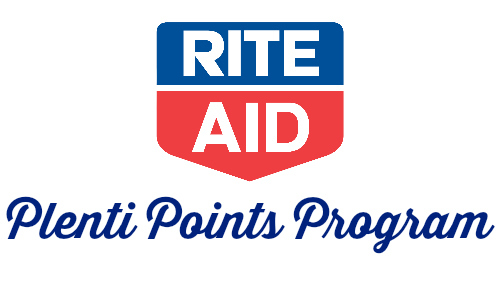 If you take a look at the Rite Aid Ad, you will see they are rolling out the new Plenti Points program. This is going to replace their +UP Rewards. Plenti is a free program. The points can be earned at American Express, AT&T, ExxonMobil, Macy’s, Nationwide, Rite Aid, Direct Energy and Hulu. To redeem them, you need at least 200 and each Plenti Point is worth 1¢. When shopping at Rite Aid, earning at least 200 is easy. Even by doing just one deal, you will usually reach this mark. The best part is that you do not have to earn and redeem the points at the same place. You could earn 1,000 Penti Points at Rite Aid and use them to pay for clearance deals at Macy’s (with a coupon of course). You’ll have two years to use the points. The Ad will start 5/3, but Plenti Points technically start 5/4. Many got a card in the mail last week, but if you didn’t, you can grab one in-store. The Plenti Points work like +UP Rewards used to. You’ll see that it’s the bulk of the deals in the ad. For example, you may earn 400 Plenti Points when you buy (2) bottles of vitamins. This is work the equivalent of $4. You can go here to read more about it. If you already have wellness+ points and status discounts, they will carry over to the new program as soon as you link your new card.